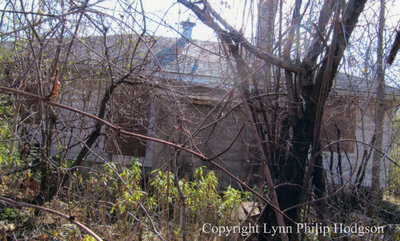 A colour photograph of the north side of the last remaining Camp X building located at 4680 Thickson Road, Whitby, Ontario. In this view two of the windows are boarded up. The North Side of the Last Remaining Camp X Building, c.2012, Lynn Philip Hodgson. Whitby Archives A2017_014_005.